When you need a windscreen replacement or repair service you may initially think about the hassle and cost of getting it fixed and chances are you will probably try to leave it as long as you think you can get away with it for before getting it fixed! This isn’t a good idea because the windscreen could get gradually worse without you noticing, therefore putting your own safety at risk. Out with the safety aspect, the repair or replacement normally takes less than an hour anyway so why risk you own safety for something that is easily fixed? 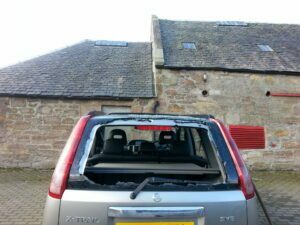 This is just one of the reasons that Strathclyde Windscreens developed our mobile windscreen repair & replacement Service all throughout Scotland. Our offices are open 7 days a week; with a 24 hour helpline should you require our services at any time. We provide windscreen repair and replacement services for cars, vans and plant vehicles as well as all types of commercial vehicle e.g. Fleet, Motor trade, businesses. 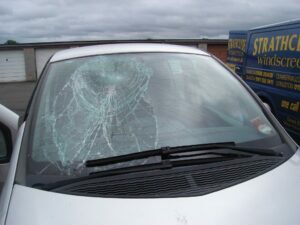 A repair is carried out when your windscreen has been hit by a small object (normally a stone) and has left a small crack or chip on the surface. This can cause problems such as the chip becoming a large crack, or even causing you to fail your MOT so it’s very important to have it fixed as soon as you possibly can. If you can’t manage to get to our depot, then don’t worry we offer a mobile service so we can come to you. In some cases your glass will be beyond repair and you may need the windscreen replaced by one of our professional technicians. Quite often it’s not just the windscreen that can become chipped or broken on your vehicle and we also can help you should you need a repair to side glass or heated rear windows. 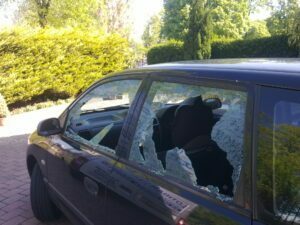 Damaged glass is very dangerous and the last thing you want to happen is for the damage to get worse whilst you are driving, it could cause an accident harming yourself or others – so don’t delay, call us today and we will arrange a time and location to suit you, be it your home, work or even the shopping centre car park. We are able to replace your glass with minimal delay no matter what your make of vehicle. Most fully comprehensive motor insurance policies also cover you for complete windscreen, side or rear glass replacement. Insurance claims are subject to excesses, please check with us for the relevant info. If your insurance doesn’t cover you for windscreen repair or replacement, the cost will depend on the type of glass you need for your vehicle, but we should be able to offer you a discounted rate in this case. Call now for a competitive quote and let us get you back on the road.